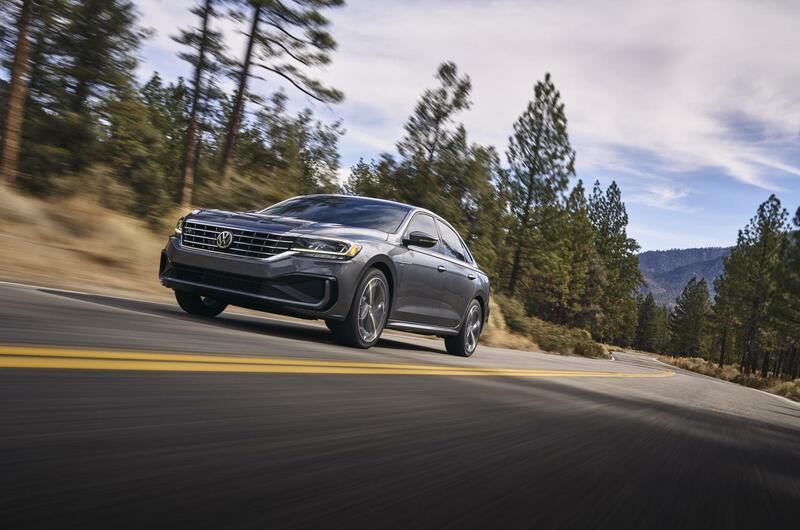 The 2020 VW Passat strikes a balance between new technology and proven performance. 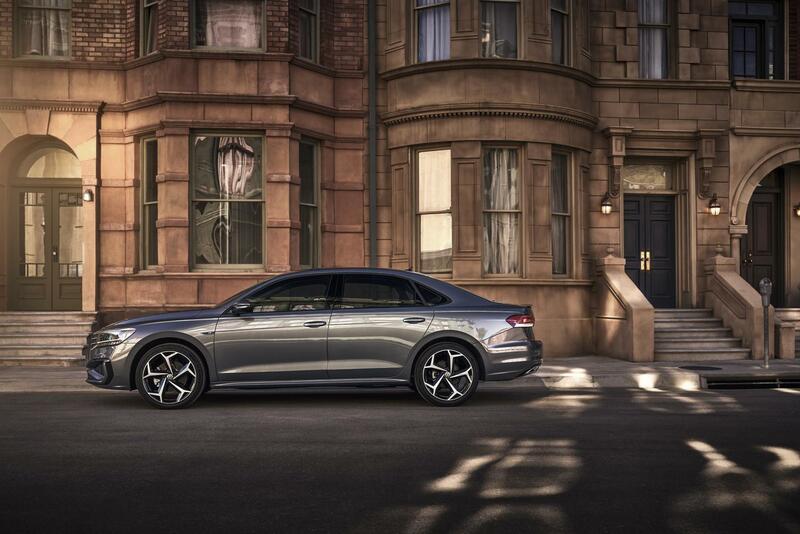 VW says the new Passat’s design is coupe-like with a “tornado line” running through the car. The 2020 VW Passat is the very definition of a good run-around car. These are cars we buy for driving to work; or for our spouses or kids as they go off to college. We feel relieved when we, or someone we love, is behind the wheel of a good run-around car. 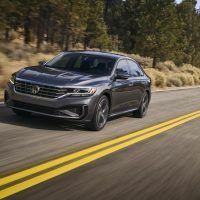 We don’t break the bank with the 2020 VW Passat, but we get enough for the commute. 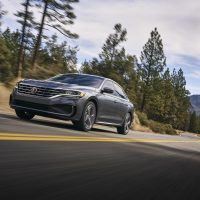 In a world where SUVs dominate and car lines are getting the boot, the 2020 Passat is a nice alternative for those who still want a “normal” sedan. 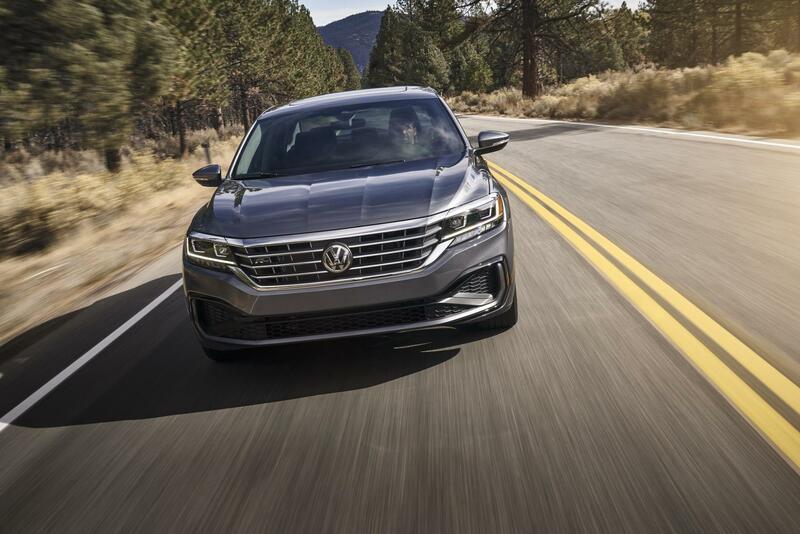 On the inside is where it really matters for the 2020 VW Passat. Eight years ago, VW spent considerable time redesigning the Passat for American buyers. 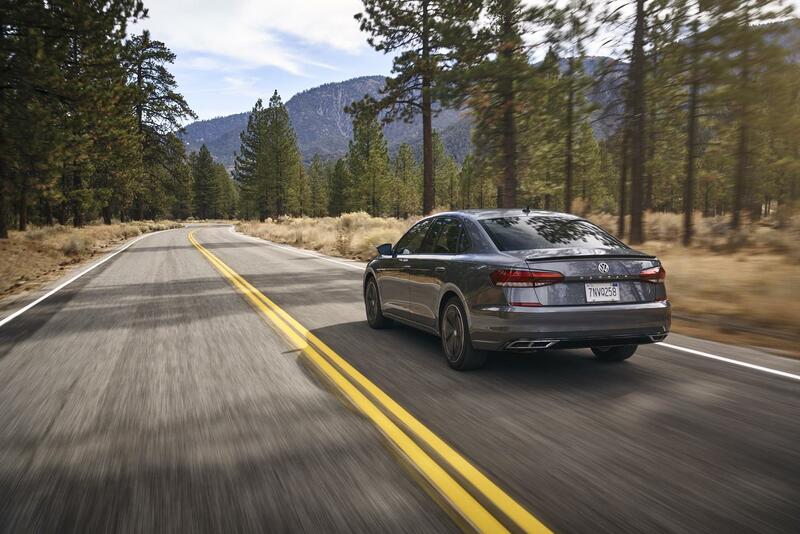 Interior space, technology, and creature comforts topped the list. For 2020, this means a more contemporary instrument panel and a new glass-covered touchscreen. 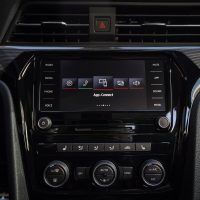 Every 2020 Passat comes with VW’s Car-Net technology, which integrates Apple CarPlay, Android Auto, and MirrorLink. Three interior décor designs are available, based on trim, as are V-Tex leatherette and Nappa leather seating. 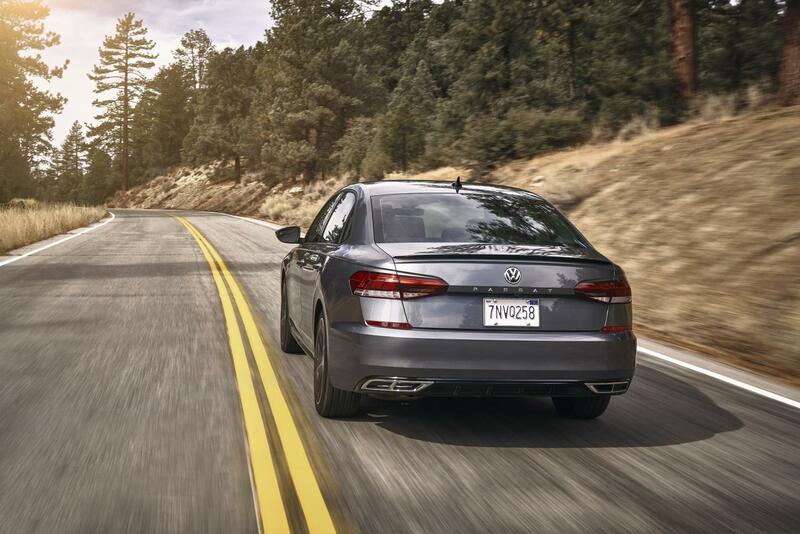 Heated front and rear seats (with memory) and dual-zone climate controls are optional. 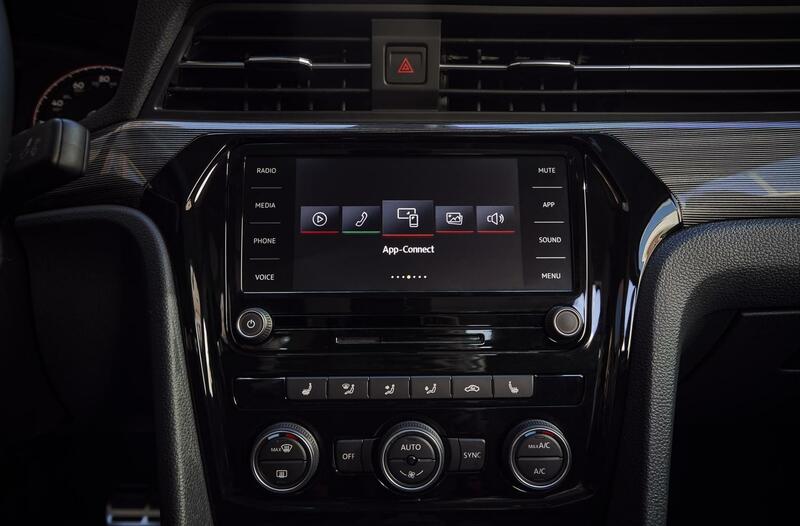 Available convenience features include power-folding, heated side mirrors (also with memory), auto-dimming rearview mirror, remote start, and rain-sensing wipers. Top trim models have a Fender Premium Audio system, which will make any long commute enjoyable. 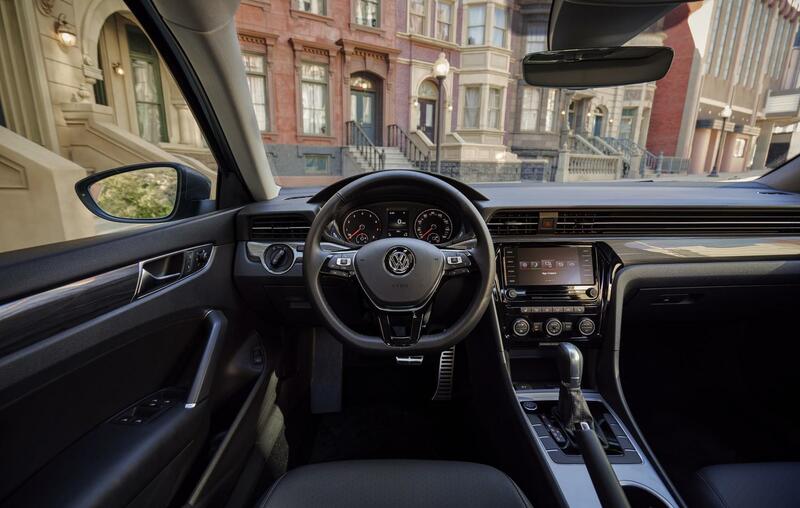 2020 VW Passat interior layout. Photo: Volkswagen of America, Inc. 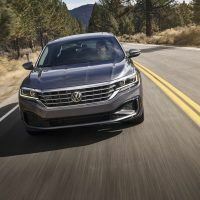 The 2020 Passat retains the underpinnings of the previous model but the exterior is quite different. The grille, LED headlights and taillights, and badging are new, for example. 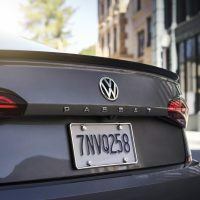 VW makes note of the “dramatic tornado line” on the 2020 Passat, but don’t elaborate. VW alludes to the “coupe-like” profile, so maybe that’s it? Or perhaps that tornado line is referring to the actual roofline? We’re not entirely sure, although it sounds cool, whatever it is and wherever it’s at. Related: Good value for the money? 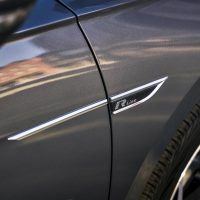 Our full review of the 2019 VW Jetta. The technical aspects include a front suspension with damper struts, robust lower control arms, coil springs, and an anti-roll bar. At the rear, the four-link independent layout marries telescopic dampers and another anti-roll bar. 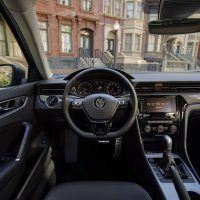 The electro-mechanical power steering provides a healthy balance, making the 2020 Passat easier to control at all speeds. 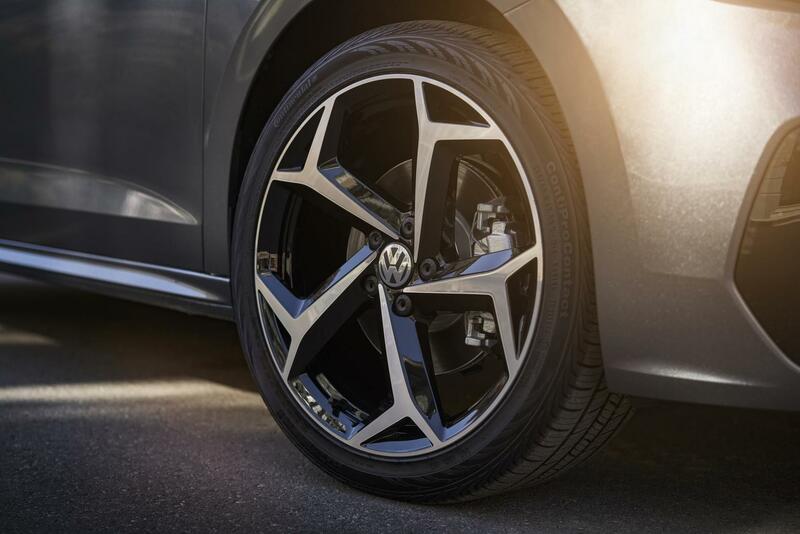 17-inch wheels come standard, although more stylish 18- and 19-inch wheels are available. Can you spot the “tornado line” VW is talking about? 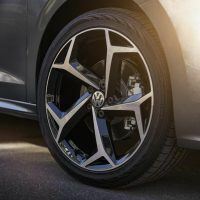 Photo: Volkswagen of America, Inc. 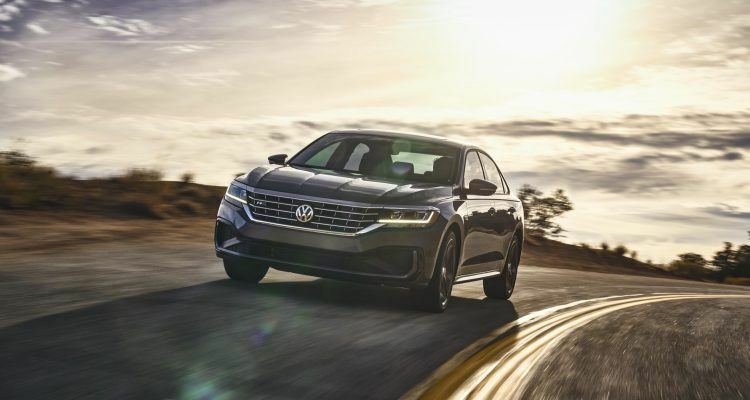 The 2020 VW Passat makes 174 horsepower from its 2.0-liter turbocharged engine with direct injection. With the new torque converter and corresponding software, torque output rises to 207 lb-ft. from 184. 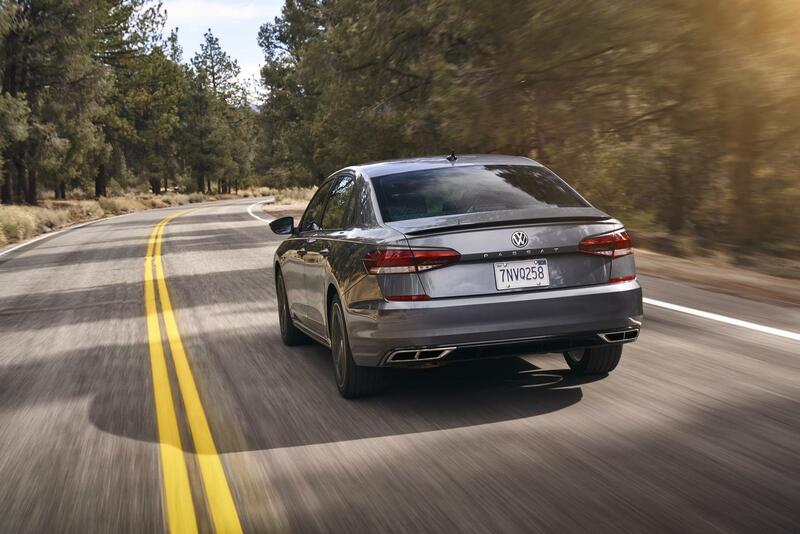 Power is sent to the front wheels via a six-speed automatic with Tiptronic. It’s not the most powerful thing in the world, but considering it’s an ideal run-around-town kind of car, the engine specs are plenty good. No word on fuel economy yet, although the 2019 Passat comes in at 25/36 city/highway and 29 combined. 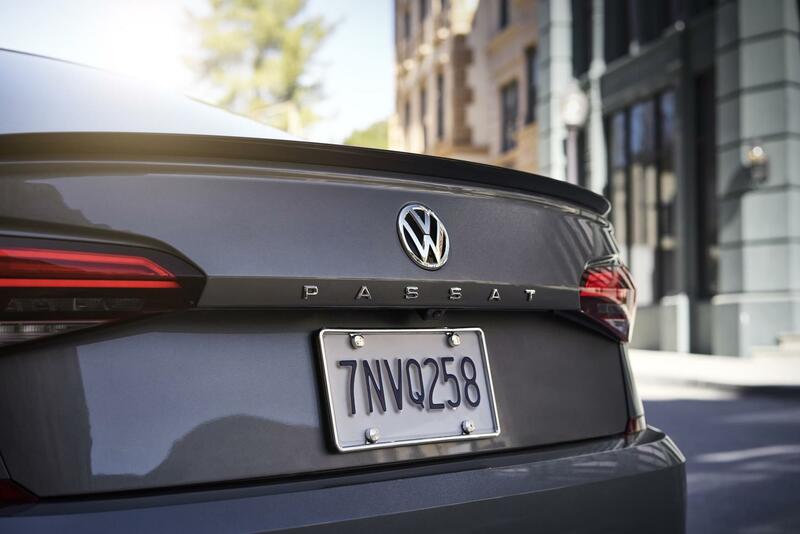 As is the trend with vehicles today, the 2020 VW Passat loads up on active safety tech. 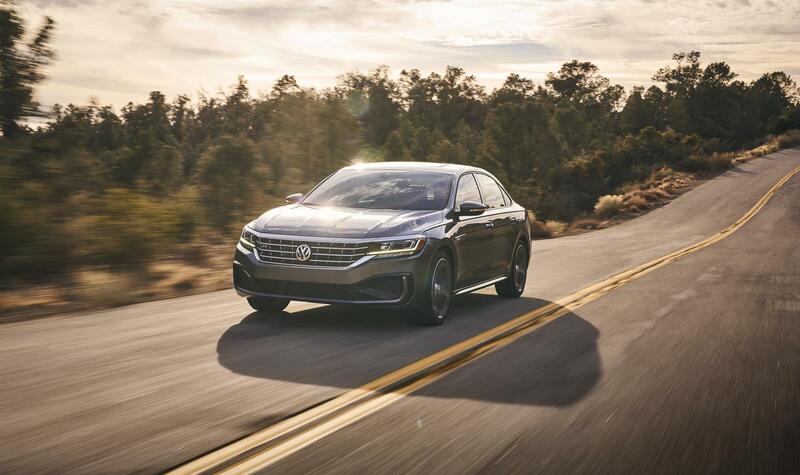 Every Passat includes Forward Collision Warning, Autonomous Emergency Braking, Pedestrian Monitoring, and a Blind Spot Monitor with Rear Traffic Alert. 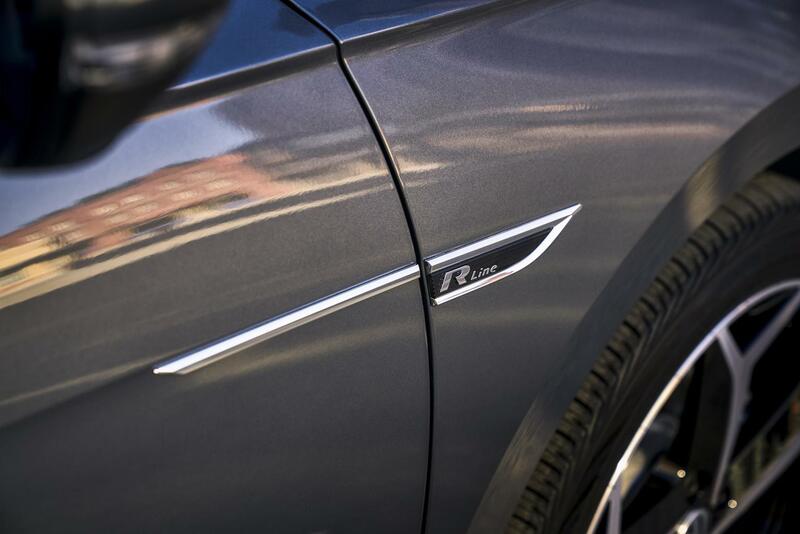 Adaptive Cruise Control and Lane Assist help on the open road, while Park Assist is handy for the garage downtown. 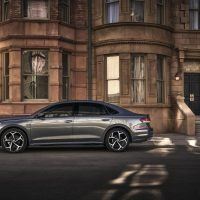 The 2020 VW Passat arrives this summer, complete with four trim levels and a launch-only Limited model. 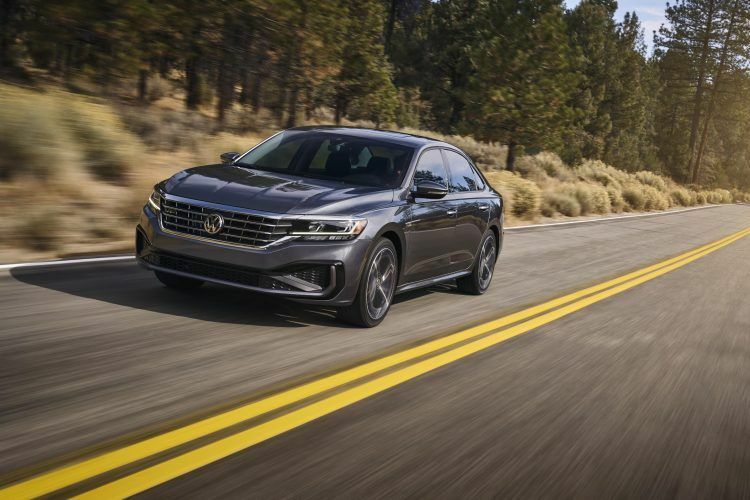 Pricing info is forthcoming, although the 2019 Passat starts at $26,090 after the destination fee. The Volkswagen Chattanooga assembly plant has production honors. No Comments on "2020 VW Passat: Now With “Tornado” Lines"